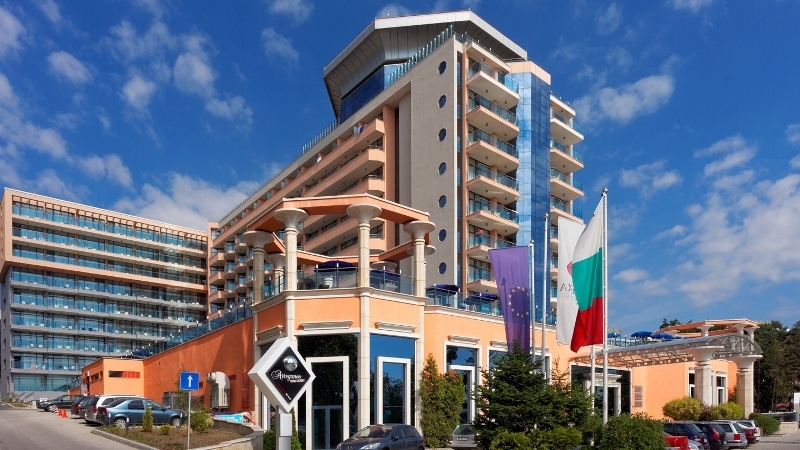 Location: The hotel is perfectly situated on the first line with great view to the sea. Accommodation: 199 rooms all with a sea-view, A/C, telephone, Sat-TV, mini-bar, WC/shower, balcony. In the hotel: Restaurant, lobby-bar, barbeque, indoor and outdoor swimming pools with children's section, fitness centre, Jacuzzi, medical centre, night club.